Located 220km from Lima, Paracas shares the border with a national park. The town has a large fishing community, as well as touristic shops and restaurants. 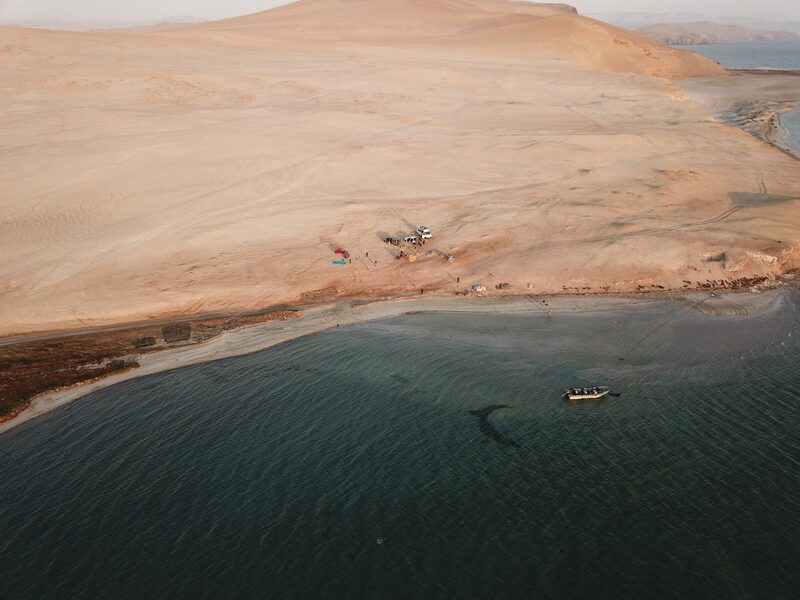 Paracas is one of the closest kite spots to Lima, and it attracts kiters from all along the coast. The spot is perfect for all levels of riding; closer to the beach, the water is shallow and relatively flat. For more experienced riders who are searching for butter flat water, then there is an offshore spot just a short distance away on the other side of the bay. I was in Paracas for three weeks, and during that time, there was one day where it rained, and by rain I mean it only drizzled. The rest of the time the weather was good. As for the temperature, we were in t-shirts and boardshorts most of the time but occasionally needed a jumper in the early morning or in the evenings. Paracas offers consistent winds 300 days a year (with the exception of June and July) For wave riders, the best months are October to December when the swell is biggest. Water temperatures range between 16 - 22°C all year. Paracas is sunny all year, with the lowest temperatures around 20°C in July. In summer a wetsuit isn't always necessary, unless it's very windy. During the winter a 3/2 suit is more than enough. Good wind comes from the south (as it does all along this coast), blowing from the left, picking up around midday and peaking around 3pm. The Paracas wind can blow all night, peaking betwen 30 and 40 knots. The wind in the mornings was close to zero knots, and the bay was one giant mirror. I found there were three types of days; The first was the days where the wind started picking up at 11:00 am, it would usually then hold throughout the rest of the day. The second, was when there was little wind all the way up until around 4:30 pm, and then it would pick up and be kite-able until sunset. The 3rd type of day was the worst it would pick up slightly but never enough to kite. However, this didn’t happen that often! We didn't have any reasons to leave the spot, but I noticed there were lots of taxis, which I am sure, would be very cheap. If you are staying in town and want to get to the kite spot, it is too far to walk so you would need to rent a car or use a taxi. The food and drink were pretty good in town; cheap and delicious! My favourite meal was the Ceviche, which is raw fish soaked in lime or lemon juice. Apart from the few restaurants and food stalls along the beachfront, this is not the place to come if you are looking to party! There is a National reserve right there if you go into it there are some fantastic little bays and giant cliffs to discover. I camped out on top of a hill one night, and it was an insane experience, I strongly recommend trying it out. Also, there are boat trips out to the islands to see wildlife, and there are lots of places in town to rent off-road buggies and quad bikes. Where I stayed the Wi-Fi was sometimes booming but at other times, terrible. I am sure that this depends much on where you decide to stay. Been to Paracas? What did you think? Where are the Best Kitesurfing Beaches in Paracas? This is the only Kite spot in Paracas, access is easy, and there is a car park right at the spot and a large sandy beach to set up. The spot right in front of the beach is choppy but if you kite upwind and across to the other side of the bay you will find it butter flat. The spot is usually crowded close to the beach with beginners, but there is so much space, so it’s not hard to escape the crowds! This spot is about an hour south into the national park but is well worth the visit. It is a huge bay where at the top it has a flat spot. When I went, it was not windy enough at the flat spot, but midway down somehow the wind was stronger. The spot in the only place in Peru where the water was crystal clear. It’s well worth the trek to see the scenery. To find the spot it’s best to ask a local. The people at Kangaroo kite are amicable and happy to help. Tip for both spots; make sure that you pack away your kites dry the fine sand will stick to your equipment and it's a nightmare to remove! 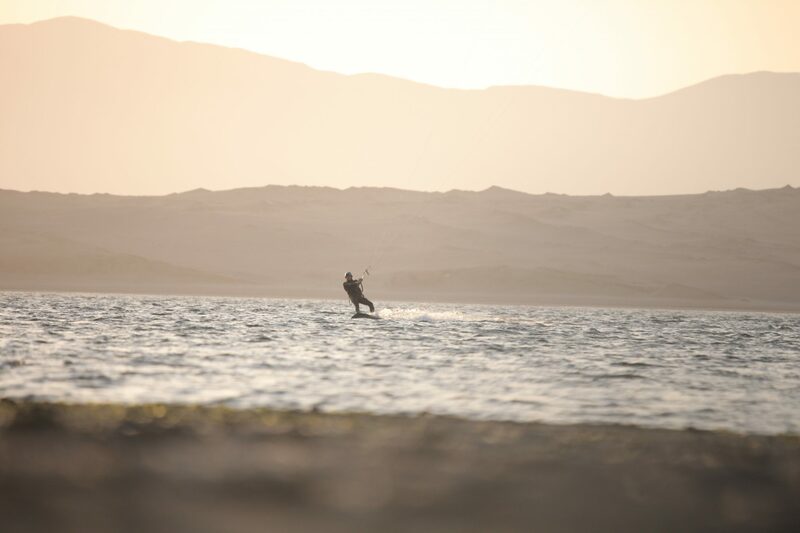 When is the Best Time to go Kitesurfing in Paracas?